A new issue of CurioCity just reached our grateful desk. 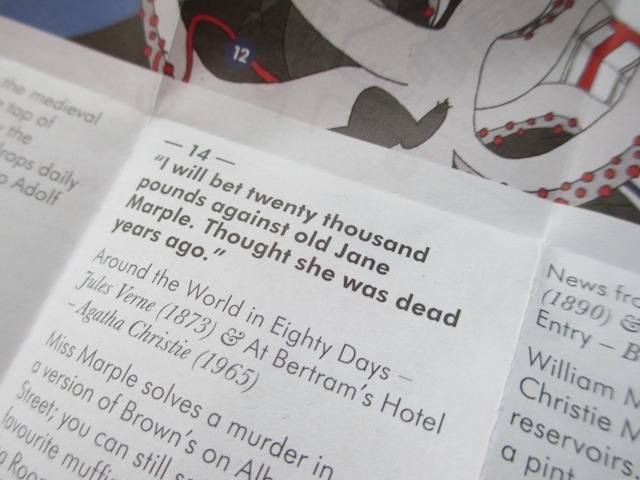 This occasional publication is a fold-out compendium of London trivia on a given theme. 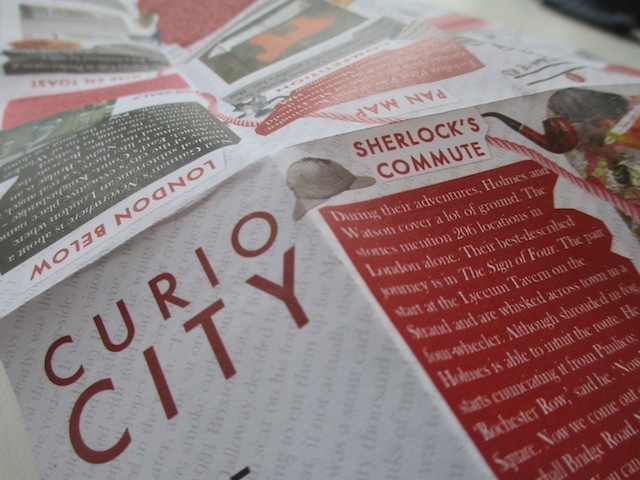 This time round, that theme is 'Fiction', contributed by 10 London know-it-alls (including, for full disclosure, your humble Londonist editor M@, who comments on the commuting habits of Sherlock Holmes). Other contributors include Mark Mason, Merlin Coverley, John Rogers and Peter Watts. Just from the first column, we learn the location of a famous lamp post from the closing credits of Minder, the Fleet Street bar where until 1983 women would not be served unless seated, and a literary reason to visit Poundland in Kilburn. 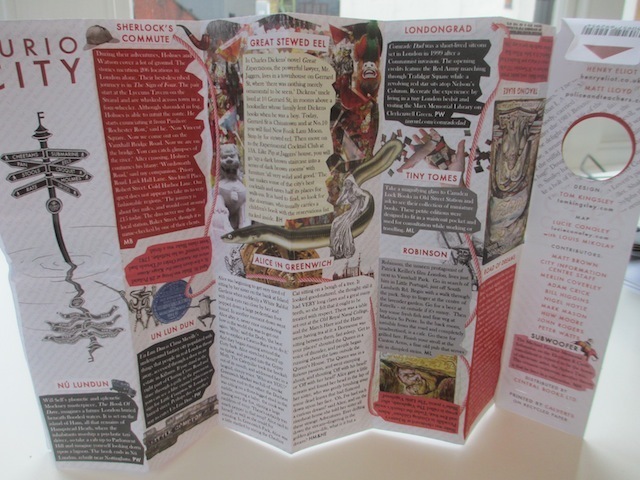 Unfold CurioCity further, and you'll find a strange map of fictional London. The editors have chosen locations with famous literary associations, then merged them together into a Frankenquote. So at Bank, for example, we get 'With her small fists on the bar she leaned towards me and said, "Feed the birds, tuppence a bag!'" (combining Money and Mary Poppins); or in Spitalfields we read: "Sir, I send you half the Kidney I spread in a paste of yoghurt and spices and baked in the oven", a combination of From Hell and Brick Lane. Genius. 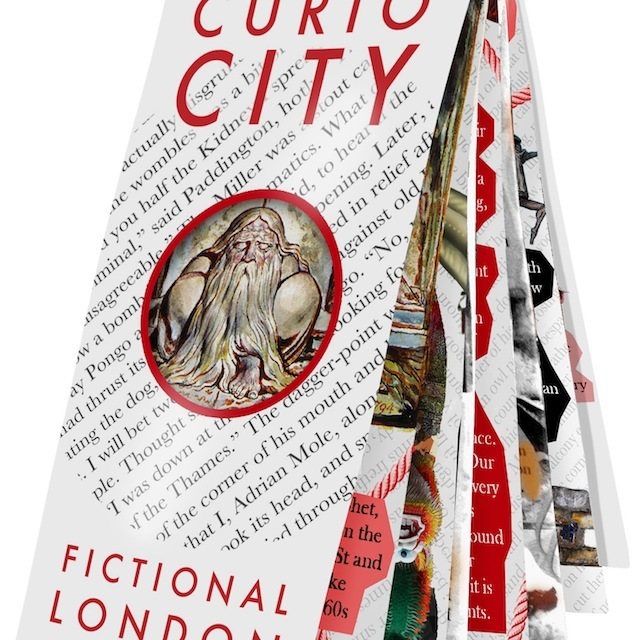 You can pick up CurioCity for just £3.50, online or in many of London's book shops, and back issues are available here.